Over the years, Lipeños had gone through favorable transitions that paved the way to the city’s well-rounded prosperity. As time ages, too many changes had emerged but one thing remains unaltered — it’s how the people continue to love Lipa, then and now. Lipa is the 20th city to host the My City, My SM campaign of SM Supermalls which was conceived to show off the gems of the cities where branches of the shopping mall are located. And in that one fine evening, the art deco-styled atrium of SM City Lipa became center stage for some of Lipa’s finest people. This My City, My SM campaign is intertwined with another one – the I Love Lipa campaign which is intended to strengthen Lipeños’ pride and patriotism. 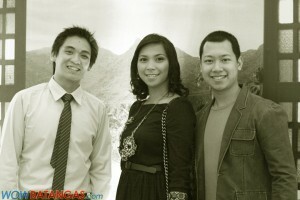 July 8, 2011 was a momentous date for what this campaign dubs as endorsers slash ambassadors of the bests of Lipa City. The first recognized Lipeño is Dr. Bienvenido Lumbera. The Ramon Magsaysay Awardee for Journalism and National Artist for Literature was given a very appropriate recognition and a tribute done by ARTIST Inc. which celebrated a few of his works. “Ang puso ko ay palaging nakabaon sa lupa ng ating mga ninuno,” said Dr. Lumbera. 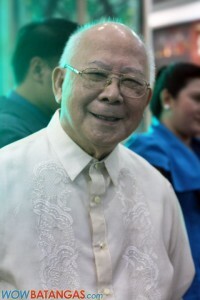 His works such as Umaga sa Lipa, Ang Pinoy, Noong Unang Panahon from the critically acclaimed the Tales of the Manuvu were highlighted in the event. Aside from Dr. Lumbera, four more Lipeños received commendation for their exemplary achievements as young members of the society. They are from one of the most prominent clan in Lipa City — the Katigbaks — Paolo, Cayo, Keena, and Andrei. Paolo is the Executive Vice President and General Manager of Batangas-Laguna Autocenter, Inc. (Kia BALAI). Cayo is a Development Communication graduate of the University of the Philippines – Los Baños while Andrei is a Culinary Arts student. Keena, the only lady on the list is Mutya ng Lipa 2011 who is currently pursuing a degree in dentistry at Centro Escolar University. Also present in this gathering is Lipa City’s main man, Mayor Meynard Sabili who received the AVP of the city presented by SM City Lipa. Gracing the event as well is Lilet Dimayuga-Malabanan, a direct descendant of Segunda Katigbak, Dr. Jose Rizal’s first love. Kudos to the administration of SM City Lipa for holding the My City, My SM campaign and may you continue helping the community uplift its finest components. Previous To Break or Not to Break?